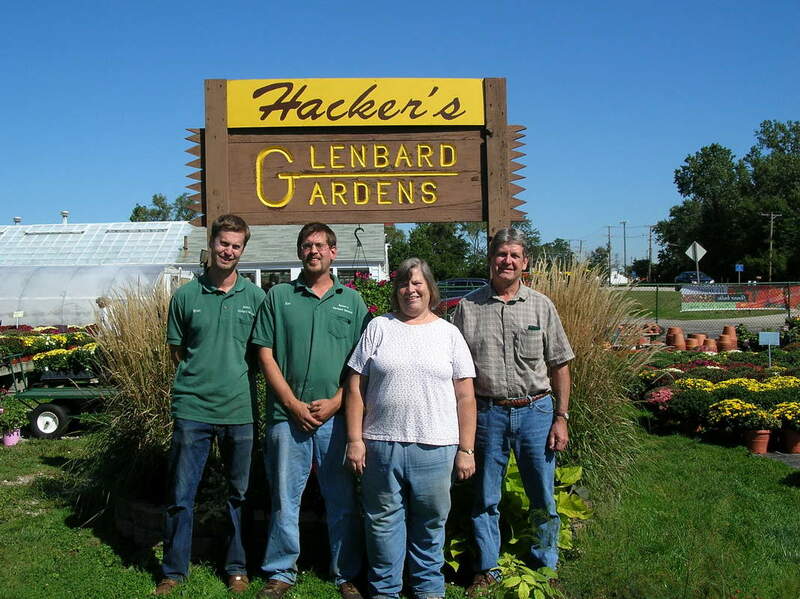 Hacker's Glenbard Gardens in Lombard, Illinois is family owned and run. In 1976, after working their whole lives in the farming/gardening businesses, Reinhold (Bud) and Laverne Hacker left the family garden center in Skokie to strike out on their own. They moved to Lombard and purchased what was then named Glenbard Gardens from the owners, who were retiring. They renamed it Hacker's Glenbard Gardens and reopened the garden center with their daughter, Nancy, and son, Ron. After many fulfilling years in the business, Bud and Laverne retired in 2002, passing on their life's work and passion to Ron and Nancy. Ron's sons, Brian and Dan, now work in the business, as does the entire family in busy times. We are an old-fashioned garden center offering friendly, down-to-earth , honest service. We have old-fashioned plants, as well as the newest varieties.